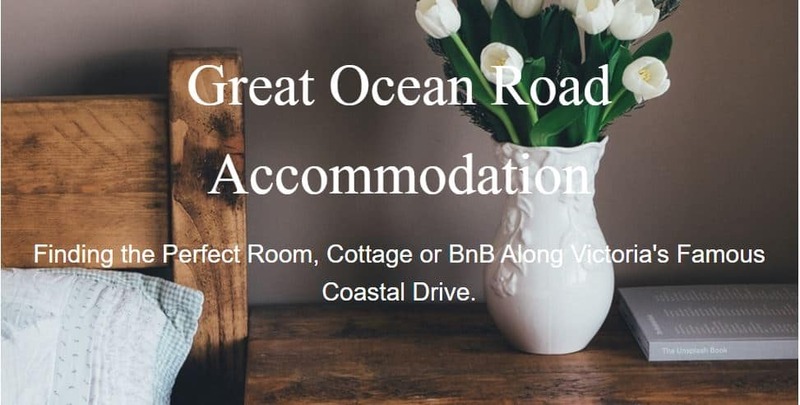 Great Ocean Road Accommodation, Victoria. 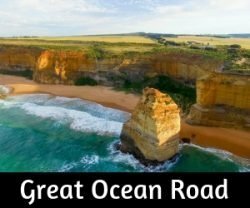 Our complete guide to finding fabulous places to stay along the Great Ocean Road – starting in Torquay and following all the way along to the famous 12 Apostles. Choices range from motels, guest houses, b&b’s, campgrounds and backpacker hostels. We know the region well and have compiled this guide to some of the best places to stay. Pre-booking during peak holidays times is recommended. Just a 6-minute walk from Surf World, Bells Beach Backpackers offers free parking, barbeque facilities and a garden. Guests can hire surf boards from the hostel or store their own in the storage areas provided. The property is a 3-minute drive from Torquay Central Farmers Market and a 7-minute drive from Saltair Spa Retreat Torquay. This property is a 1-minute walk from the beach. Offering free Wi-Fi, an outdoor swimming pool and a restaurant, Surf City Motel is situated across the road from Torquay Beach. Torquay Foreshore Caravan Park is a beachfront campground located at the start of the picturesque Great Ocean Road. Just a minute’s walk from Torquay Surf Beach, guests can enjoy the sound of waves breaking on this beach, which also offers a great spot for surfing, fishing and swimming. All cabins have a full kitchen with a stove, a microwave, a fridge and an oven. Each comes with air conditioning, TV and an en suite bathroom. Anglesea is a sweet little town with beautiful beaches, well known for Kangaroos roaming on the golf course and surfing action. Anglesea Backpackers is located 23 km from Lorne and 33 km from Geelong. Sorrento on the Mornington Peninsula is 49km away (via the ferry). Free wi-fi and a shared kitchen, as well as the free use of bicycles, makes this a great little hostel to use. Anglesea Beachfront Family Caravan Park is the only holiday park in Anglesea with beach and river frontage. Positioned at the start of the Great Ocean Road between the sandy Anglesea shoreline and the Anglesea River on 16 hectares of parkland, you’ll discover beautifully manicured grounds mixed with native gnarly melaleuca trees and wide open spaces with plenty of room for you and the kids to run free, ride bikes and just breathe! This property is 6 minutes walk from the beach. Located opposite the Anglesea River and just 5 minutes’ walk from Anglesea Beach. The Great Ocean Road Resort offers an onsite restaurant, a bar, an indoor heated pool, a tennis court and a day spa. All accommodation includes free WiFi. Accommodation options include 1-2 bedroom apartments and private rooms. All are air-conditioned and feature cooking facilities, a dining setting and a flat-screen TV with free satellite channels and DVD player. Arguably, the most popular town along the Great Ocean Road. Lorne is still close enough to Melbourne to be a good day trip out. A stunning beach, bush walks, a local waterfall, along with an amazing array of cafes etc. Just 400 m from Loutit Bay Beach, Lorne Foreshore Caravan Park offers camping sites as well accommodation with a kitchenette and a TV. There are a children’s playground and a terrace with BBQ facilities. It is 2 minutes’ walk to the local supermarket. Located alongside the Erskine River, Lorne Caravan Park is 10 minutes’ walk from the centre of Lorne. 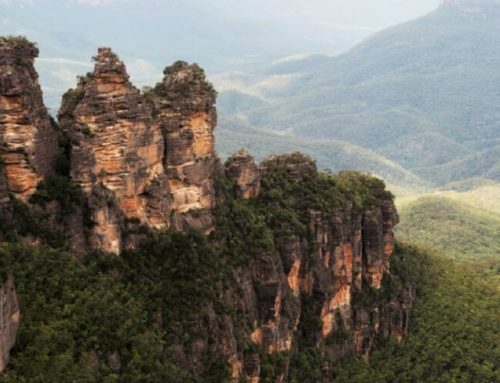 It also offers easy access to the 2 hour Erskine Falls walking trail through the Great Otway National Park. Cottages and Backpacker accommodation in Lorne – One of our favourites! 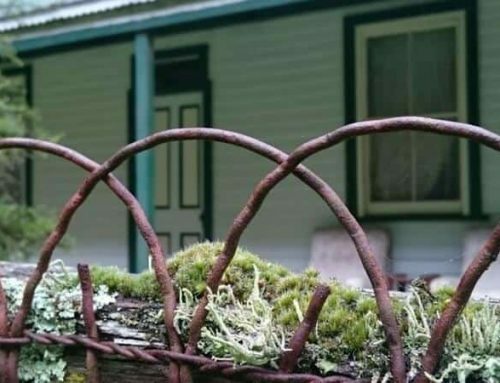 These cottages are set in beautiful forest, a short walk to the beach and shops of Lorne and easy access to the fabulous 2-hour walk to Erskine Falls. Bunk rooms and doubles available, great for groups and families too. Book early as they are really popular. Each room is air-conditioned and is equipped with a TV and DVD player. Each apartment at Cumberland Resort Lorne features a private balcony with outdoor furniture, corner spa bath and free cable TV. Fully equipped kitchen and laundry facilities are also included. Guests have access to a sauna, BBQ facilities and a hot tub… nice! The Mantra Lorne is a beachfront resort with super guest rooms and apartments. It features great leisure facilities, spacious gardens, a restaurant and a bar. Choose between the traditional guest rooms or the larger studios and self-contained apartments. All of the rooms include en suite facilities. Many of the units have a private balcony or terrace overlooking the ocean. It’s at the centre of all the action, a quick walk to the beach or to the cafes and shops of Lorne. Just 300 m from Lorne Beach, Lorne Bay View offers studios with a spa bath and private balcony. A kitchenette with a microwave and refrigerator is standard in all studios as well as cable TV and a DVD player. Looking for luxury? Experience Wye Not Escape (lots of properties are called ‘Wye’ this or that). Wye Not Escape is a luxurious 2-storey holiday home with stunning sea views and very close to the beach. Opened in Dec 2015, it is on our list of ‘must stays’! The Surf Shack is a fab little holiday home. Ideal for small groups or a family, with a sun-filled deck overlooking the ocean. Another great little holiday home with super views and loads of character. Easy access to the beach. Our kids just love the park. Camping & caravan sites as well as holiday units. The beach is right across the road, koalas hang out in the area and there is a jumping pillow for the kids… what more can they ask for? With a sweeping bay and beautiful swimming beaches as well as surfing, Apollo Bay is a delightful town. Apollo Bay Eco YHA is the perfect hostel for your road trip along the famous Great Ocean Road. Have fun exploring the region kayaking with seals, swimming, surfing, fishing, hiking in the Otways Ranges or doing the Great Ocean Walk. Throughout the winter, you can spot whales along the Great Ocean Road as they migrate north. Accommodation includes a wood heater, 2 lounges, 2 kitchens, free Wi-Fi hotspot, a rooftop deck with beautiful views and balconies for relaxing or cooking on the BBQ. Choose from a range of rooms including 4 person multi-share, twin/double and family rooms. Offering free in-room WiFi, a hot tub and a swimming pool with a sun lounging area, Apollo Bay Motel Marengo is located on the Great Ocean Road. It is just 2 minutes’ walk from the beach and 2 minutes’ drive from Apollo Bay’s town centre. Each suite offers a 32-inch flat screen TV with over 100 premium cable channels. The Whitecrest Great Ocean Road Resort overlooks the ocean so all rooms have magnificent ocean views. The resort features spacious, beautifully furnished apartments to help you relax and unwind during your stay. The resort backs on to lush natural rainforest, with nearby waterfalls and Australian natural wildlife including kangaroos, koala and a variety of birdlife. The cottages are a mix of 1, 2 and 3 bedrooms. They are all virtually identical with the three 3 bedroom cottages having a larger living/kitchen space and extra bedrooms. Native shrubs separate each cottage for privacy but an open plan garden and easy access across the property caters perfectly for large group bookings. The Waterfront Motor Inn has 2 Garden View Apartments situated off the main road in a secluded garden setting. These apartments are perfect for families, two couples travelling together and larger groups who often book both apartments. Bedding configuration is 1 queen bed & 2 single beds. Ground floor (up 3 steps from the carpark), air-conditioned self-contained, 2 bedroom apartment. Patio with outside seating for 4. Nearby access to a Guest Laundry. Cabins as well as camping sites with spectacular views and wonderful amenities. A short walk to the beach or into Apollo Bay. Our modern indoor camp kitchen includes a large enclosed seating area, split system, television and fully functional kitchen. The camp kitchen leads onto a deck which has a fully covered outdoor bbq area with additional seating. Shearwater Cottages offer premium accommodation in Cape Otway. The unique cottages are perfectly situated along the Great Ocean Road on the rugged coast at Cape Otway. 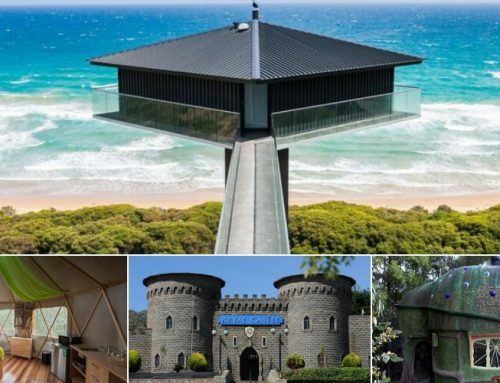 There are four lovely cottages that are positioned high in the dunes, surrounded by the magnificent Great Otway National Park. Each of our Otways cottages enjoys dramatic ocean and Otway views. Accommodation is spacious, comfortable, self-contained and private. Escape to Cape Otway Light station and experience the tranquillity of a world-class destination, with stunning views of the Southern Ocean and Australia’s most important lighthouse. Spectacular ocean views, glorious sunsets, close encounters with koalas, and the sound of the ocean will be among the highlights of your stay in our heritage accommodation. Campground in Cape Otway, the centre of The Great Ocean Road and Walk. Accommodation for all budgets. Campsites to Cabins. Great for couples and family holidays. 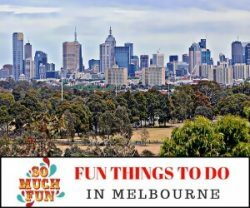 Horse riding, hiking and koalas! We love this little park! Located in Lavers Hill, 40 km from Apollo Bay, Otway Junction Motor Inn boasts a terrace and views of the sea. Guests can enjoy the on-site bar. Free private parking is available on site. 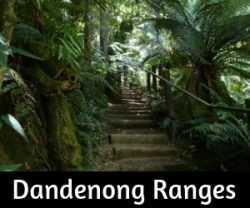 This is a good location for visiting Melba Gully and the famous glow worms. Nearby Triplet Falls is about 30 mins driving. Various types of accommodation to suit different needs and budgets. All the beds are nice and comfortable, to make sure you sleep well and recharge from your adventure. All accommodation has access to the wildlife. Wombat Cottage and Kangaroo Unit are situated inside the park allowing you to watch and feed the animals from your accommodation. Port Campbell National Park, the location of the famous 12 Apostles. Stay and explore for a couple of days or more! The park has a range of accommodation including modern creekside villas, the more affordable studio rooms, and large grassy powered sites for caravaning and camping. Situated on 30 acres of private land, the beautiful Anchors Port Campbell provides homely, standalone cottages with a spacious living area, kitchen and panoramic views. It has a designated Chinese massage room and free bike rental facilities. Positioned on 55 acres of land, the individually designed Daisy Hill Country Cottages are only a 1-minute drive from Port Campbell and the Great Ocean Road. Guests of the property can enjoy free WiFi and on-site parking. This property is 8 minutes walk from the beach. Located on the Great Ocean Road, Port Campbell Motor Inn offers free WiFi and an outdoor swimming pool, just 5 minutes’ walk from local beaches. The world-famous Twelve Apostles are just a 5-minute drive away. We offer quality accommodation located in the heart of Port Campbell on the Great Ocean Road, Victoria, Australia. Explore the surrounding shops, cafes, beaches and township on foot. Or jump in the car and take a short drive to all of the amazing attractions the Great Ocean Road has to offer. The cottage offers the ideal location for a weekend or midweek getaway for the travelling family or couple set on Australia ‘s picturesque Great Ocean Road. Located 150m from Port Campbell’s town centre and 300m to Port Campbell’s swimming beach Port Bayou is an easy stroll from the town’s shopping and dining precinct. Casual backpacker style accommodation in the centre of Port Campbell. Close to shops and restaurants, clean, cheerful and friendly accommodation for travellers, families or small groups travelling of a budget. 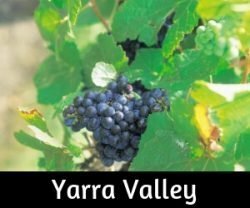 The Port Campbell Guest House can accommodate up to seven guests in self-contained and shared facilities.